Every business or company needs to practice disposal of data, if not, the storage will be filled up in no time. But managers should know better than to merely delete the data from the system, or worse, overwrite new data in the old one. In order to permanently delete information from the system, an Alameda Electronic Waste Recycling should be employed. There are experts in data destruction and we’re among the best. Two things will happen if secure data destruction is not handled. One, the business may face a multimillion-dollar suit from clients who complain of data breach. Nobody wants their dirty laundry aired in public. The second consequence is the business’ tarnished reputation. The latter could cost the company future clients. We provide a transparent process of data destruction. 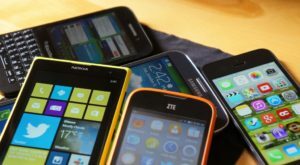 It can wipe data not just from computers but also from photocopiers, fax machines, printers and especially in smart phones. It boasts of a military-grade data destruction process because some of its customers store sensitive information in their system, like the Department of Homeland Security and the Federal Bureau of Investigation. 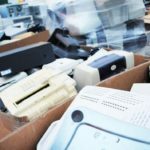 Call for an Alameda Electronics Recycling to prevent data breach. Savannah at Southport Apartments has teamed up with All Green Electronics Recycling to host this electronics recycling collection event. Both members of the community and businesses can take the opportunity to clean out their garage or store room and donate their unused electronics to a good cause.